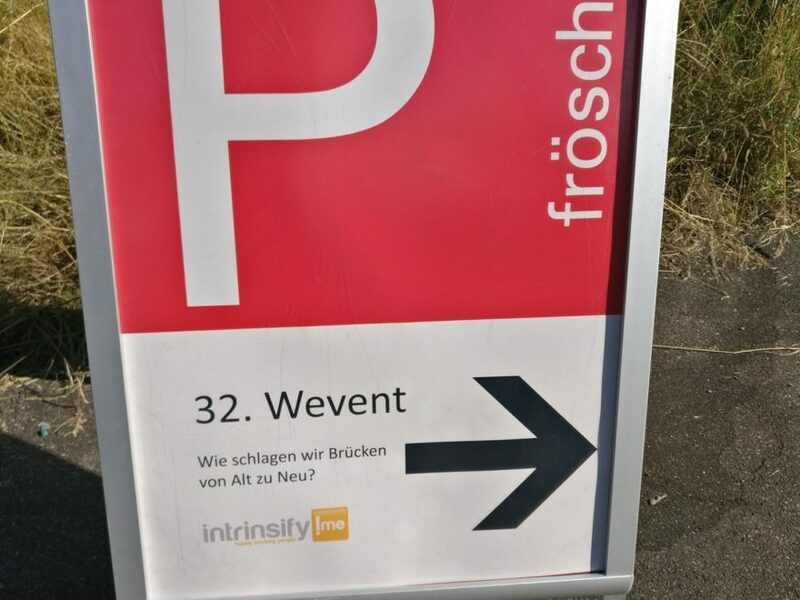 Saturday and Sunday I visited Wevent #32 about #change. I decided to write up my reflections and continue the remote work series next week. There is plenty of learning and spark, so should be useful and inspiring for you as well. How to bridge from the old work/business to new work/business? Does it even make sense to talk about old business and new business? How can you change companies without questioning everything and having the whole organization against you? The event is usually organized as Open Space, but this time there was track of pre-defined sessions similar to a regular conference (but not pure talks). Change forum – How to change big companies? Courage – This is the more difficult part as agreed by quite a few attendees of the session. What helps me is answering the following simple question? „What is the worst thing that can happen and how does it impact me?“ For example I could get fired. But would it kill me or ruin my family? I don’t think so. Time – Some might think this is more difficult, but I believe this is super easy. Again, one simple questions can help you to find time. „If you leave the company in four weeks, what are the projects/initiatives you still support, what are the meetings you still would attend?“. By answering this question I easily found 3-4 hours per week , which was enough to organize an innovation day. Hope this inspires you as well to start change. Let me say it with the slogan of a famous sports brand: Just do it! I got quite some positive feedback on my story about courage. So I decided to run another session on courage. The idea was triggered by my guest post for mutbank. I wanted to bring together people that need courage or can give courage. We had quite a few cases where we could „fund“ next projects, change in business or life. Some even want to organize their own courage funding event. Curious to see what emerges from this session!? Got some good feedback on this idea, that started at the Wevent in Leipzig. My first learning was, that people associate the name with a different solution: dating potential new employers. There’s an unmet need to find employers that offer certain capabilities (new work mindset, remote working, …). Something for my creative backlog. And maybe I should change the name of the idea. My family joined me on Sunday and my elder sun wanted to run a session as well. His idea was that kids could help companies that face a crisis and need to change. The example he chose was the automotive industry. He wondered why they don’t put competition aside and collaborate towards new forms of mobility. In a small group we had a very interesting discussion about a variety of global issues and we all found the perspective of kids very refreshing and simple. For me this triggered an actionable idea. I’ll bring my son to one of our meetings and am sure his fresh perspective will help us to solve a challenge. What do you think about this idea? Maybe one day we bring kids to board meetings? Plenty of additional notes, new contacts and ideas I need to process over the next days. Hope this was helpful and inspired you to do something extraordinary this week!? Love to hear your story about kids in meetings, courage or maybe company dating. Have a good week ahead!